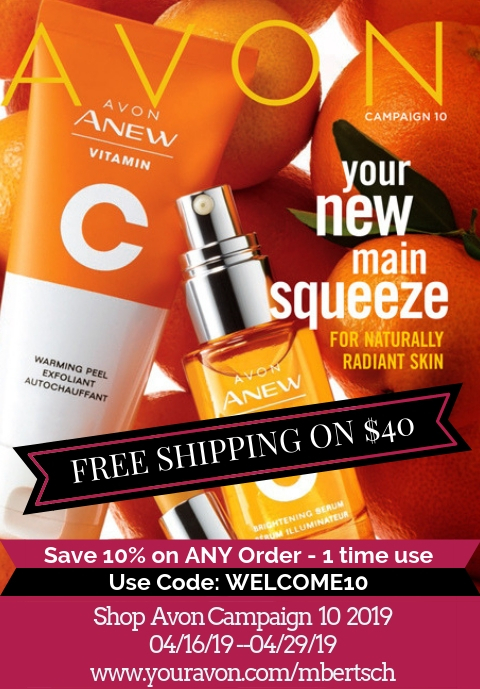 Want to view the new Avon catalog online Now you can! Below I have listed the most recent Avon Catalog that you can order from on my Avon Store. The new Avon catalog is Avon campaign 10 2019. You can also view two of the Avon Future Campaigns, Avon Campaign 11 2019 and Avon Campaign 12 2019. Shop Avon brochure online to learn about Avon new products. Stay informed of the best Avon discount codes and sales. I will update these Avon Catalogs for 2019 regularly so you can always view Avon past and present Avon brochures. All you have to do is click on the Avon Catalog image below to start your Avon online shopping. Learn how to use Ebates to make money when shopping Avon. View Avon Catalogs above for future savings. Avon Catalogs 2019 which you cannot order out of at this time are marked with future dates. However, you can view them to see the new Avon products and sales coming soon. Like this post? Please share with your friends on social media by clicking the icons below!